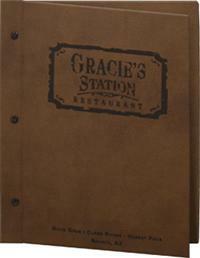 Pajco menu cover material is spiral bound to clear vinyl sleeves. 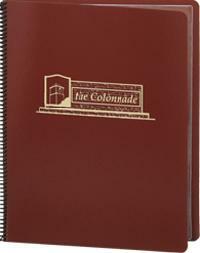 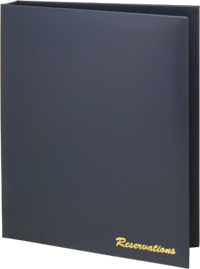 This durable sewn wine book has a soft grain, leather-like texture, and provides up to 24 views. 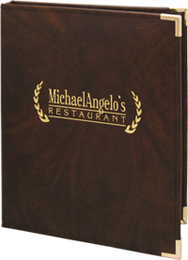 Our Manhattan Menu Cover with spiraled vinyl sleeves for up to 24 views. 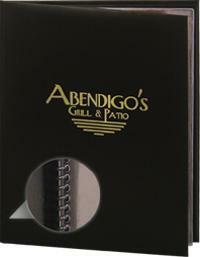 Chicago Menu Boards are an elegant choice for large menus and wine lists, offering up to 12 pages and 24 views.